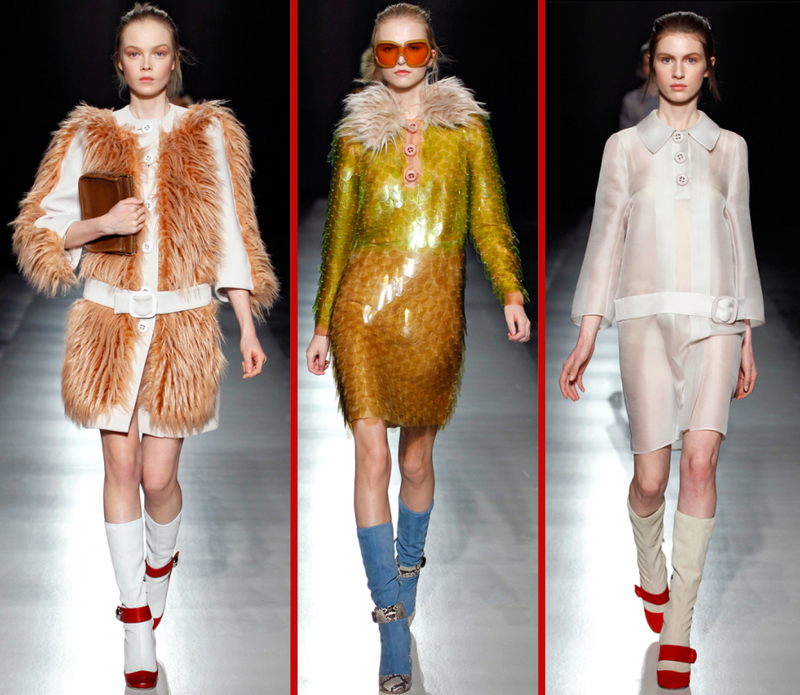 Innocent glamour: Mondrian inspired check, sequins, fur, snakeskin, Sixties and Twenties inspired perfection. 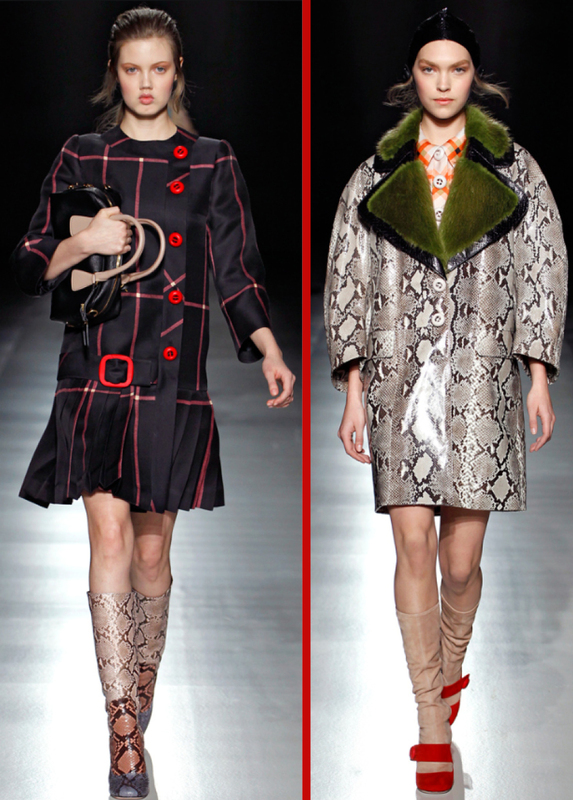 Last autumn/winter’s Prada woman is now a more innocent girl; love the drop waisted coats, the flashes of red and the python boots! 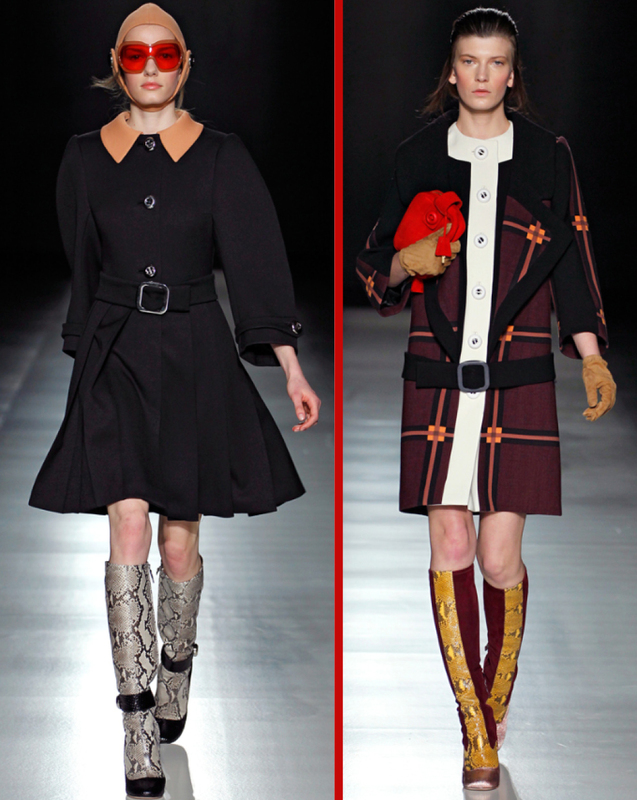 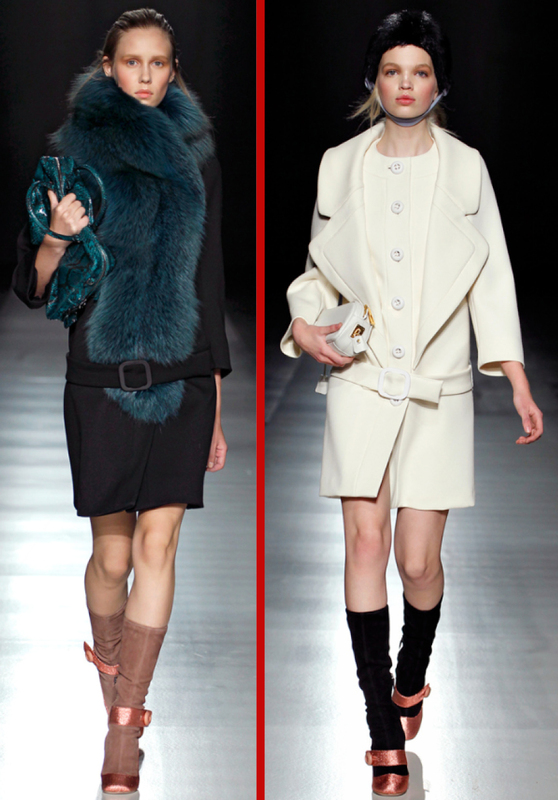 Loving the new girls in this show, Prada always has the freshest faces first. 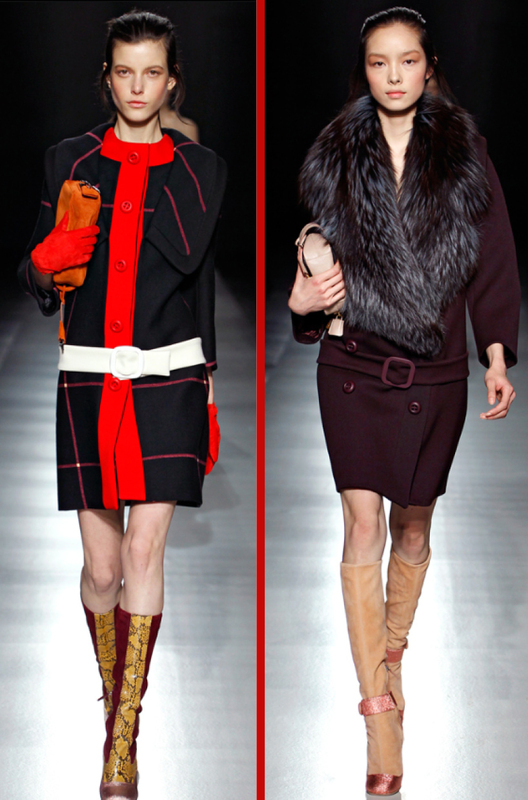 Stumbled across your blog, and I'm glad i did!